Jak robić frencz manicure lakierami hybrydowymi? Kto najbardziej lubi lakiery hybrydowe i dlaczego? 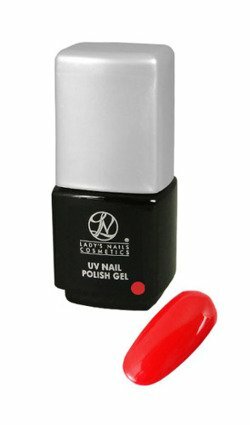 UV Nail Polish Gel is a very good UV polish and gel, all in one. A thin polish, strengthened in a UV lamp, has much greater durability than a usually used nail polish. It can be easily and quickly removed from nails with the use of a UV Remover (cosmetic acetone). UV Nail Polish Gel is provided in a bottle with a brush. In order to achieve a required effect it is enough to place one layer of this polish and gel. The colour is shown on a photo. Its strengthening time equals 2 minutes in a traditionally used UV lamp and 10 seconds in a LED lamp. When compared to a traditionally used nail polish, the UV Nail Polish Gel does not leave any streaks during its application, does not peel off and is much more durable. It may be easily placed on nails, then strengthened in a UV lamp, and the nails are ready following cleaning up the dispersive layer. Remove any fat or grease from the nail with a fine buffer. Apply a layer of Primer Super Bonder and allow to dry briefly. Apply a basecoat layer of UV Nail Polish Gel Base + Finish and cure for 2 minutes under a UV or LED light source. Now apply a thin layer of UV Nail Polish Gel and cure for 2 minutes under a UV or LED light source. Apply a second layer of UV Nail Polish Gel Base + Finish as a top coat / sealer. 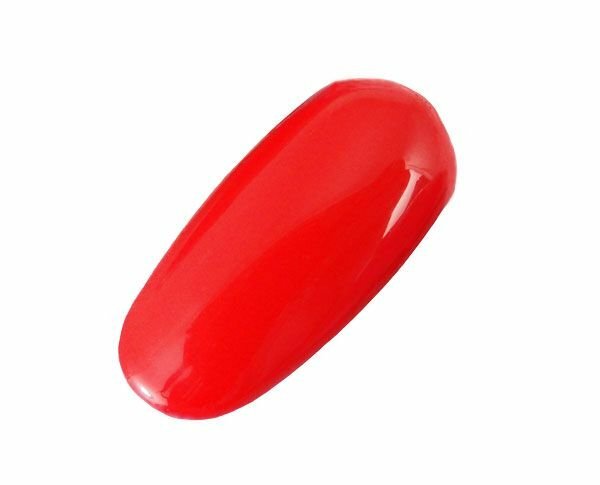 Make sure you apply UV Nail Polish Gel thinly, if the Gel Polish layer is too thick the polish will not cure properly and may create an uneven finish. Apply two thin cured layers rather than one thick layer. Please note that the time required to remove our UV Nail Polish Gel will increase with the number of layers applied. If you have applied UV Nail Polish Gel over a Gel or Acryl modeling then the fastest way to remove the product is simply by filing. Please follow the following steps for the quickest way to remove the product from natural nails. Roughen the surface with a thin nail buffer to increase the working surface for the Remover. Soak the nail for approximately 4 or 5 minutes in UV Nail Polish Gel Remover. Remove the dissolved layer with a soft buffer instead of a cotton pad. Soak the nail once more in remover for 4 or 5 minutes. Remove the dissolved layer again carefully with a soft buffer. Repeat these steps until the product is completely removed from the nail.